Enjoy fluent UX from cloud-based efficiency in a tiny fitted design, best suited for kiosks, digital signage and educational institutions. Polished Performance Chrome OS's streamlined delivery gives fast operation, enhanced security and intuitive use. Fits into Any Environment A compact sleek design that fits neatly into any workspace or attached to displays with optional VESA mounting kit Maintain Business Productivity Don't forgo your favourite software by moving to Chrome OS. Download Microsoft Office, Skype and Facebook and 2 million more from Google Play™. Smarter Control The web-based Google management console makes it easy to deploy and control users, devices and apps across a fleet of Chrome devices. Always Secure and Up To Date Automatic updates keep your data as secure as can be with Chrome OS's multiple levels of security. Ultra-Quick Data Transfer Ultra-quick data transfer, video streaming and battery charging with USB 3.1 Gen 1Type-C™. Double Work Efficiency Expand your viewing area and maximise productivity as you extend your desktop across two monitors. The 15.6” Chromebook™ that you’ll want to own. Enjoy fluent UX from cloud-based efficiency in a tiny fitted design, best suited for kiosks, digital signage and educational institutions. The Best for Small and Medium Businesses Designed as the best for business in multiple environments whether in offices or digital signage. Fast and Secure Superb security and versatile connectivity for all manner of businesses. Designed For Convenience The thin and light design makes it the ideal companion for being taken around all day. Feature Rich Design With the latest hardware, Chromebook doesn’t scrimp on features for essential productivity. Strength in housing All aluminum alloy housing. Need we say more? Possessed of style, strength and durability, our Chromebook 14 will go the distance and back again. The best-selling Chromebook gets even better! The Acer Chromebook 11 is the best-selling Chromebook out there, and it has now been made even better. Designed To Keep on Working This Chromebook™ has been designed to withstand the rigors of student life. Military Grade Durability1 An impact resistant body means that it can take the daily knocks of students as it accidentally falls off tables or stood upon. MIL-STD-810G The MIL Standards are a set of military grade tests to check the durability of a wide range of products. MIL-STD 810G Method 516.6, Procedure IV refers specifically to the transit drop test and requires that an object weighing less than 46.4kg is dropped on each face, edge and corner from a height of 122cm for a total of 26 times. Tamper-proof Keyboard Recessed keys prevent picky fingers digging up the keyboard. Spill Resistant Keyboard Unique drainage design allows 330ml of water to be spilled over the keyboard and keep it away from important components. Antimicrobial Corning® Gorilla® Glass4,5 Cleaner, tougher cover glass made possible by an antimicrobial compound that resists the growth of odor and stain causing microorganisms on touch displays. Antimicrobial Corning® Gorilla® Glass Antimicrobial Corning® Gorilla® Glass demonstrates >99.9% microbial reduction rate against a broad range of bacteria under the JIS Z 2801 test protocol. 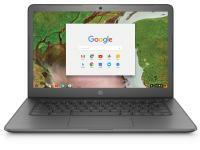 Classroom Level Technology Share and play all-day with this educationally designed Chromebook™. Write Naturally6 With fast and accurate control, and a natural writing experience the Wacom® technology pen provides unsurpassed usability. Wacom® EMR Pen EMR (Electro-Magnetic Resonance) pens get their accuracy by measuring the signal strength at several points along the screens’ sensor, and performing on-the-fly calculations to determine precisely where the pen is located, as well as when and how hard the pen tip is pressed down. Four Stage Screen The 360° hinge gives you four usage modes, and the flexibility to work or play anywhere. Large Camera Fold back the Chromebook Spin 11 and use the screen to see what you’re recording on the 5MP webcam with 88° wide viewing angle. The Chromebook that bends over backwards You can open this stylish touchscreen Chromebook all the way, until it becomes a tablet. Polished Performance Chrome OS™'s streamlined delivery gives fast operation, enhanced security and intuitive use. Fits into Any Environment A compact sleek design that fits neatly into any workspace or attached to displays with optional VESA mounting kit. Maintain Business Productivity Don’t forgo your favorite software by moving to Chrome OS. Download Microsoft Office, Skype, Facebook and 2 million more from Google Play™. Smarter Control The web-based Google management console makes it easy to deploy and control users, devices and apps across a fleet of Chrome devices. Faster Processing Intel pushes processing to its limits with their 8th Gen Intel® Core™ Processors which offer up to 40% better productivity performance vs. 7th Gen U-series. Always Secure and Up To Date Automatic updates keep your data as secure as can be with Chrome OS™’s multiple levels of security. Chromebox Security Chromebox use the principle of "defense in depth" to provide multiple layers of protection, so if any one layer is bypassed, others are still in effect. So while it's still important to take precautions to protect your data, Chromeboxes let you breathe just a little bit easier. Ultra-Quick Data Transfer Ultra-quick data transfer, video streaming, and battery charging with USB 3.1 Gen 1 Type-C™. Type-C Connector Comparatively small in size, this revolutionary connector is identical at both ends so it doesn’t care which way it’s inserted. USB 3.1 Type-C Gen 1 ports allow ultra-fast transfer of power, data up to 5Gb/s and hi-res display output up to 4K. Double Work Efficiency Expand your viewing area and maximize productivity as you extend your desktop across two monitors. ASUS Chromebox 3 features the latest 8th Generation Intel® Core™ processor and DDR4-2400 memory for faster, smoother and more energy-efficient performance. Durable, powerful, and designed for learning. Empower students to create, collaborate, and learn with the rugged HP Chromebook 11 EE. The business-class Chromebook™ for your life on the cloud  Get a device engineered for the modern workforce with the versatile HP Chromebook x360 14 G1, our first Chromebook™ to support up to an Intel® Core™ i7 processor. A Chromebook™ that’s elegant, effortless, and ready for the enterprise. Master productivity with the sleek, durable HP Chromebook 14 G5, built with the manageable, secure, and intuitive Chrome OS™ and driven by the latest Intel® Celeron® processors. Simple, smart computing. Boost productivity in the office and school with the affordable and easy to manage HP Chromebox. Flexible and interactive, just like education This 11.6” 2-in-1 Chromebook offers the versatility of a 360-degree hinge and 10-point multitouch technology. Adaptable and powerful, like teachers The 11.6-in 2-in-1 500e Chromebook perfectly blends technology with the premium classroom experience. Features Up to 6th Gen Intel® Core™ i5 Processor The new standard for PC performance has arrived with Intel® 6th Gen Core™ processors. Engineered for education If you’re looking for an affordable laptop that’s engineered specifically for students and educators, you’ll love the Lenovo 100e. Its rugged build means it can withstand the rigors of the classroom.